Cut asparagus into 1-inch pieces. Combine with corn onto small baking dish (either drizzle a little olive oil on corn & asparagus and toss to coat or use cooking spray on the baking dish). Broil for 10-15 minutes (or until tender) – toaster oven works well for this. Stir every few minutes to prevent burning. Cook orzo according to package directions. Drain and rinse with cold water. Transfer to large bowl. Add chopped pepper. 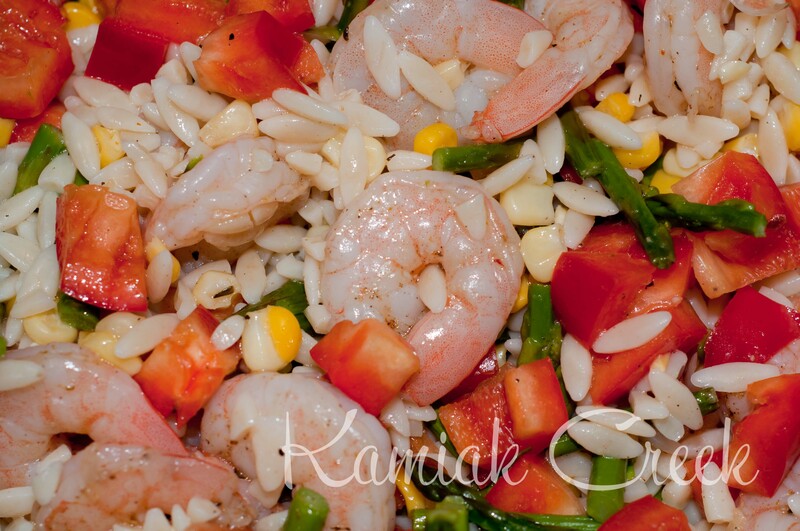 While orzo is cooking: Rub shrimp with jerk seasoning. Coat sauté pan with cooking spray or 1 tsp olive oil and heat to medium-high. Add shrimp when pan is hot. Cook shrimp, stirring frequently, just until shrimp turn white/pink (about 5-8 minutes). 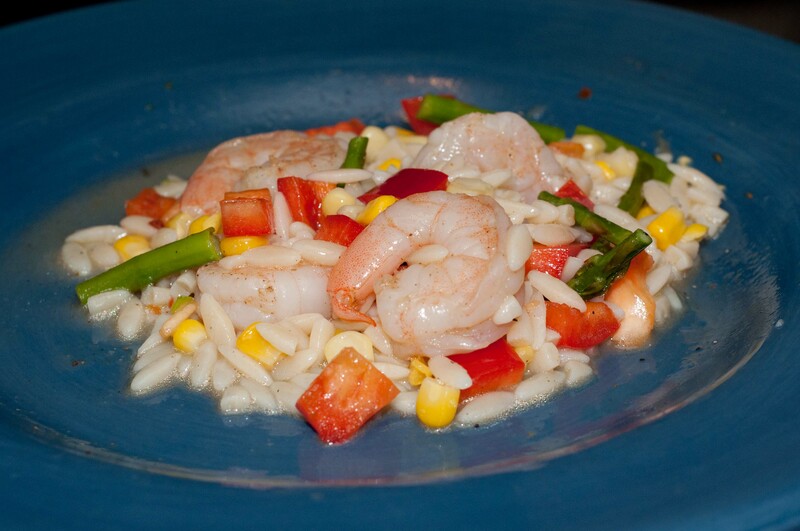 Add asparagus, corn, and shrimp to the pasta mixture. Combine dressing ingredients in small bowl; pour over the salad and toss to coat. Serve warm or cold.